Cigars have been symbols of celebration, victory, success and prestige throughout history. Finally, the St. Charles Cigar Club offers an environment worthy of such revelry brought to your special event! The St. Charles Cigar Club took a classic Airstream trailer and transformed her into a contemporary, luxury cigar lounge. The mobile lounge provides a relaxing environment, comfortable leather furniture for acquiring and enjoying premium cigars and fine spirits. Forget the pressures of the modern world and enjoy sharing a cigar with friends, new and old. 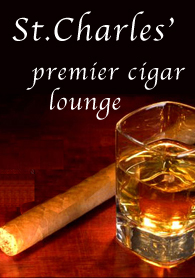 St. Charles Club carries premium cigar brands as well as an excellent selection of custom blended cigars. Also available is a line of specialized accessories, including lighters, cutters, humidors and ashtrays. St. Charles Cigar Club is more than just a mobile store, it's an experience. 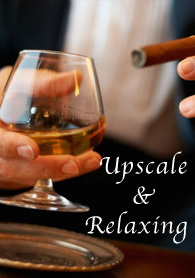 Whether you take time to relax in a soft leather seat, or just browse our selection of cigars and accessories, you'll find that the St. Charles Cigar Club offers a unique slice of the good life.